Simon Palmer was born in Yorkshire and graduated from art school in 1977. He works predominantly in watercolours, has exhibited extensively since 1980 and held ten one-man exhibitions in London with JHW Fine Art. 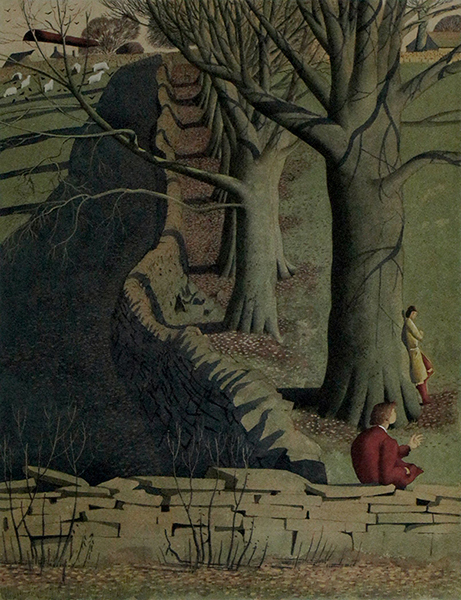 In 2004, a retrospective show Territories of the Imagination was held at the Mercer Art Gallery, Harrogate, and he later curated Palmer’s Choice at the same venue. He has shown work on several occasions at the Royal Academy Summer Exhibition, where he won the 2007 Turner/Winsor & Newton Watercolour Award. 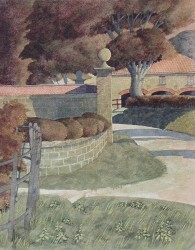 Other notable group exhibitions include the National Trust centenary exhibition; British landscape painting in the twentieth century at Crane Kalman Gallery; Dreamers of landscape at Bohun Gallery; Art & Yorkshire: Turner to Hockney at the Mercer Art Gallery; and the Glyndebourne Festival Opera exhibition. He is an Honorary Member of the Royal Institute of Painters in Watercolours. The Art of Simon Palmer was published in 2011. His exhibitions have been widely reviewed, and previous catalogues have included essays by Alan Bennett, Martin Drury, Tom Flynn, Iain Gale, Lynne Green, Ronald Maddox, Elspeth Moncrieff and Jane Sellars. He has written and illustrated three books, including Pebbles on a Beach. His work is often reproduced as book and magazine covers, or used in calendars, brochures and programmes. Simon Palmer’s work is held in many private collections in Europe, America, Australia and Japan. Salt’s Mill at Saltaire holds a large collection of his work; other collections include the National Trust, the Council for the Protection of Rural England, Mercer Art Gallery and the Penn Club, London. Artist Simon Palmer lives and works in Wensleydale, North Yorkshire.